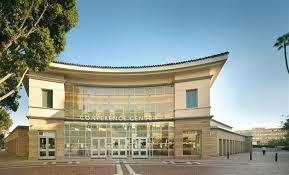 Location: Kellogg West Conference Center and Hotel at Cal Poly Pomona, California. Fernando A. Navarro, a Spanish medical doctor who is one of the most distinguished translators and lexicographers today, will join us for a 3-day workshop series composed of six of his most popular training workshops. This learning event will include translation theory and practice (plenty of it, with real texts), medical terminology, Greco-Latin word roots, pharmaceutical names, false friends, terms with multiple meanings, and much more! Mr. Navarro, the author of the famous and invaluable Diccionario crítico de dudas inglés-español de medicina (best known as El libro rojo) and the recently launched Medicina en español, will contrast English and Spanish medical terminology, and will discuss the best usage of monolingual and bilingual dictionaries. This will be a fantastic opportunity to learn from this excellent trainer in his first visit to the west coast of the United States. Don’t miss it! This workshop will cover major terminology challenges encountered by interpreters, from highly technical medical terms to patient jargon, which can endanger the accuracy, precision and clarity of the intended message. As an added bonus to our Workshop Series with Fernando A. Navarro, GlobalTradu cordially invites you to our first Expert Panel Discussion in which we will discuss the skills and knowledge that language professionals must acquire, sharpen, or merge, in order to adapt and succeed in the global T&I market of the 21st Century. We are honored and pleased to have as panelists esteemed colleagues Holly Mikkelson, Esther Navarro-Hall, Francesca Samuel and Anabella Tidona all highly respected professionals from our industry. This event will be moderated by T&I professional and GlobalTradu Director, Daniel Tamayo. This event is free of charge to attendees registered for all three days of the Workshop Series. Please register above. This workshop will cover major challenges faced when dealing with false cognates and terms with multiple meanings. It also features a translation practicum segment. This workshop will cover the usage of technical/medical monolingual and bilingual dictionaries, as well as issues related to the name of common drugs and pharmaceuticals in English and Spanish. Fernando A. Navarro holds a degree in Medicine and Surgery from the University of Salamanca. He also specialized in Clinical Pharmacology. Mr. Navarro worked as a staff medical translator for Roche Laboratories in Basel (Switzerland). Today, he is a freelance medical translator for multinational corporations in the biomedical sector. He was a professor in the Medicine and Health Translation Master’s program at Universidad Jaime I, and currently teaches graduate courses in Biomedical and Health Sciences Translation at Universidad Pompeu Fabra. He is the author of Diccionario de dudas y dificultades de traducción al inglés médico, (3rd Edition), Traducción y lenguaje en medicina, Parentescos insólitos del lenguaje, Medicina en español (2015) and more than 400 articles on medical translation and medical jargon. Currently, he heads the technical coordination of the Dictionary of Medical Terms (2011) of the Royal Academy of Medicine.He is the coordinator of the weekly blog “Language Laboratory” in Diario Médico (Madrid). He is a corresponding scholar and member of distinguished organizations such as the Commission of Translations of the North American Academy of the Spanish Language and the Royal Academy of Medicine of Salamanca, and an honorary member of distinguished organizations such as Asociación Española de Traductoresand the International Association of Professional Translators and Interpreters. He is a founding member of the list MedTrad of Medicine and Translation and Tremédica. He began translating and interpreting professionally in 1993, and currently serves as an English<>Spanish technical translator, a Spanish editor and proofreader, and a conference interpreter for national and international organizations, specializing in sustainable development, environmental and public policy, education, immigration, and human rights. Since 2006, he has been an instructor and board of directors’ member for the Translation and Interpreting Programs at Cal State Fullerton and a Spanish Professor at Cal Poly Pomona. Mr. Tamayo has an MA in Translation Studies from the Graduate School of Translation and Interpretation of the Middlebury Institute of International Studies at Monterey, where he also studied Court Interpreting; an MA in Spanish Language and Civilization from UC Santa Barbara; and graduate courses and a Bachelor’s Degree in International Management and Economics. Francesca Samuel is a freelance interpreter and translator with more than 25 years experience in the industry of translation. 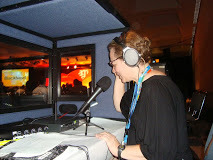 In 2000, she founded alacartetranslations.com, a web-based business that has provided translation and interpreting services in both, the private and public sectors. Francesca is also the current vice president of Arizona Translators & Interpreters, Inc. a not for profit organization for the educational training and professional development of aspiring and established translators and interpreters in this state. She has served as treasurer of the Spanish Division of the American Translators Association (ATA) (2002-2004) three consecutive terms as past assistant administrator of that body (2004-2010), and is now on her second term as current administrator. She is a member of the National Assoc. of Judiciary Interpreters and Translators and has served in various of NAJIT’s committees. She is a member of the Pima Community College Translation Curriculum Advisory Committee. Esther M. Navarro-Hall is the owner of 1Culture (www.1culture.net), an interpreting, training and consulting company. She is an Adjunct Professor at the Middlebury Institute of International Studies at Monterey (MIIS), where she teaches Conference Interpreting (EN>ES, FR>ES) and Court Interpreting (EN<>ES). She holds an M.A. in Conference Interpretation from MIIS and has worked as a freelancer in the Conference, Court, Medical and Community specialties for the past 30 years. Ms. Navarro-Hall provides training for interpreters and interpreter trainers in the U.S. and abroad. She is a pioneer in online training, interpreting & technology, and social media for interpreters. 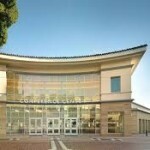 She is a Federally-certified Court Interpreter and a State-certified Court and Medical Interpreter (CA). In addition, she has interpreted for the U.S. State Department and is an ATA-certified EN>ES Translator. Ms. Navarro-Hall is currently the Chair of the National Association of Judiciary Interpreters and Translators (NAJIT). Holly Mikkelson is Adjunct Professor of Translation and Interpretation at the Graduate School of Translation and Interpretation of the Middlebury Institute of International Studies at Monterey. She is an ATA-certified translator (Spanish>English, English>Spanish) and a state and federally certified court interpreter who has taught translation and interpreting for over 35 years. She is the author of Introduction to Court Interpreting as well as the Acebo interpreter training manuals and numerous articles on translation and interpretation. She is also a coauthor of Fundamentals of Court Interpretation: Theory, Policy and Practice.